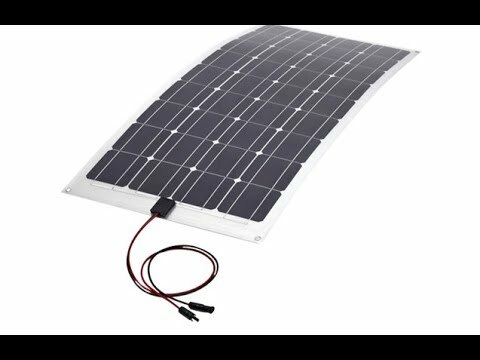 With Limited Batt Capacity Will Solar Help? 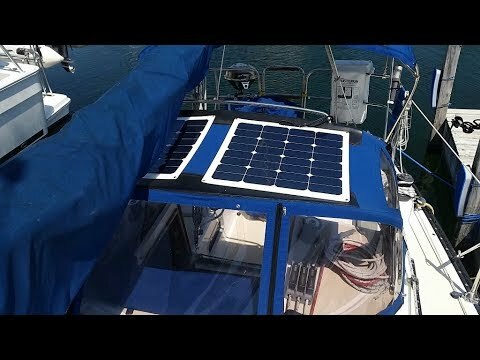 I have an Ericson 34 sailboat with two Group 31 batteries, and there is unfortunately no easy way to add more. 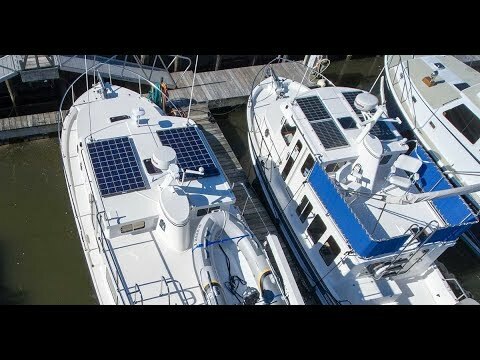 I can manage two days on the hook from the house battery, and I am wondering if adding a Solbian 80 Watt panel would be the best way to get more hook time during summer cruising without running the engine. The loads are Isotherm 3200 holding plate fridge, LED cabin lights, an LED anchor light and infrequent pressure water pump use. I am guessing this combines for about 20-25 Amp hours per day. We do not have a bimini top, so it is tricky to get a totally shade free spot for a panel day long. 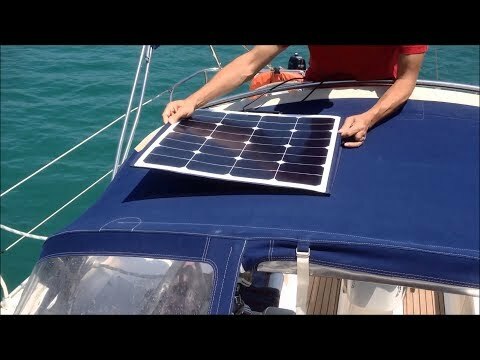 It seems possible to shuffle a Solbian panel round on the dodger top or deck with its flexibility and fastening options. 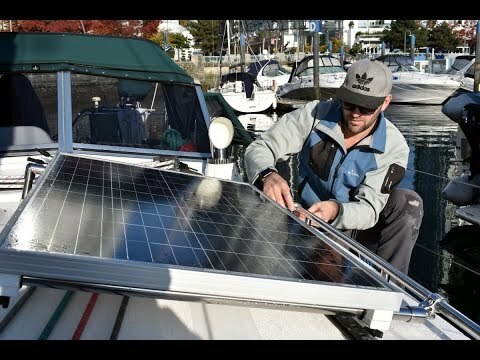 With no practical experience on modern solar arrays, I am wondering if this is an approach you would recommend? Your estimated Amp hours consumption seems very low. Refrigeration is a real draw on power. On the low end, you can easily expect 35 to 50 amp hrs a day depending on a few factors. You are right to guess that your LED lighting and water pump probably take very little, perhaps 10 Amp hours a day. 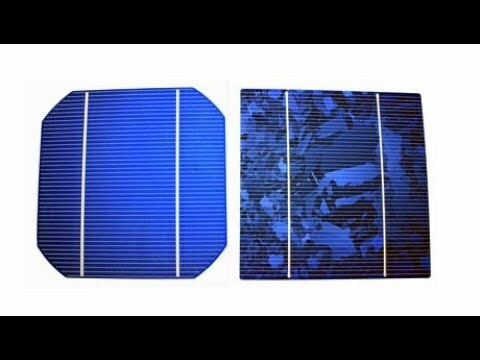 The 80 Watt solar panel will help, but would certainly not meet your daily power consumption. To eliminate any guessing, I strongly recommend you get a battery monitor. 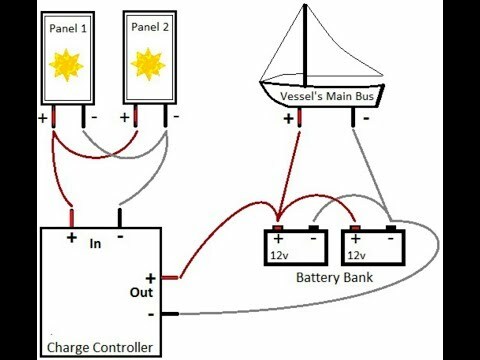 It's the best way to manage power aboard your boat. Moving the Solbian is certainly an option, and you will need to find a way to secure it as it moves around your boat. For instance, you could use the grommets at the corners to latch it down.